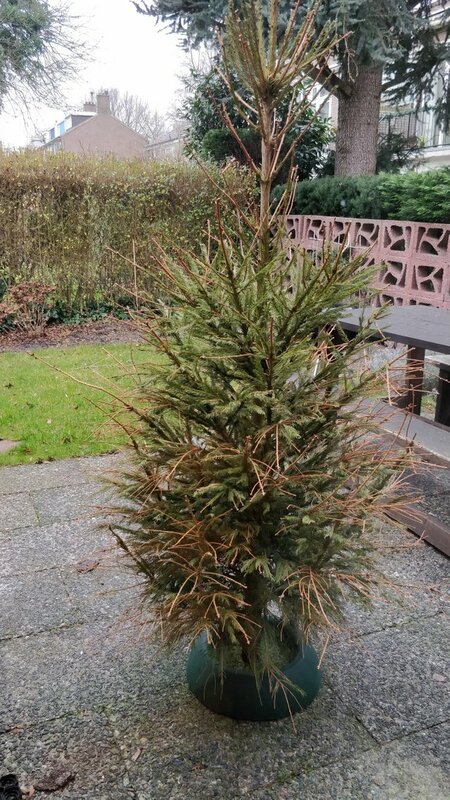 I guess it is slightly past time to finally get the Christmas tree out into the trash… At least we managed to get it out of our house before the New Year. However, it has been standing here in our backyard for over a month now… mocking us, with is steadily falling pine leaves. I tried closing the curtain so that I couldn’t see it… but that didn’t stop the reminders from other people in the house that there was a Christmas tree still lurking around in the backyard.